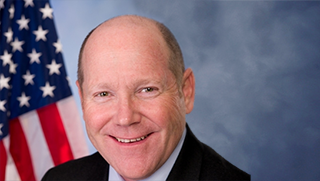 Congressman Reid Ribble is the U.S. Congressman for Wisconsin’s 8th District. He is a leader in the push for a more functional and accountable government through a return to regular order. Reid was elected to office in 2010 and currently serves on the Foreign Affairs committee as well as the Transportation and Infrastructure committee. Sign up to be called for, and participate in, all of Congressman Ribble’s events.